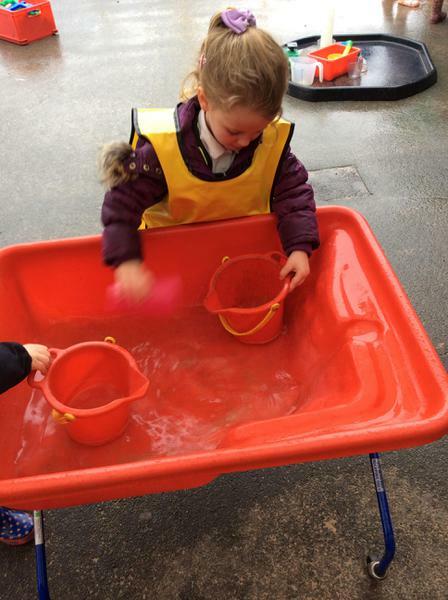 We have been thinking about capacity whilst learning about dinosaurs. 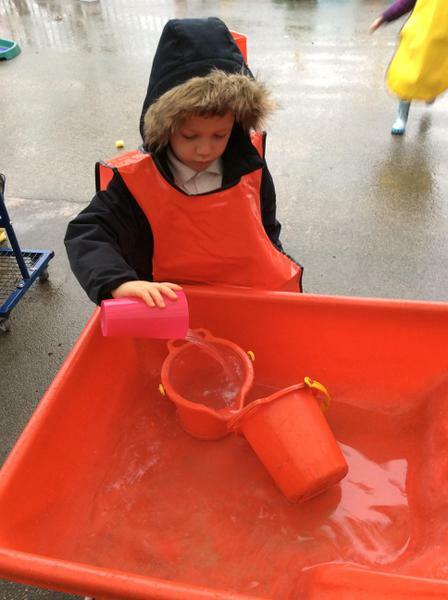 We think that when dinosaurs existed, they drank a lot of dinosaur juice. 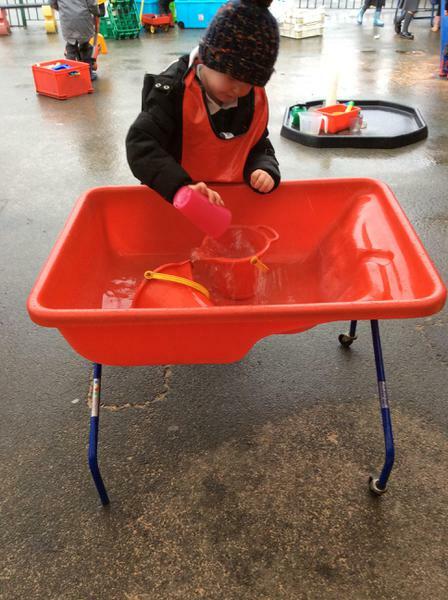 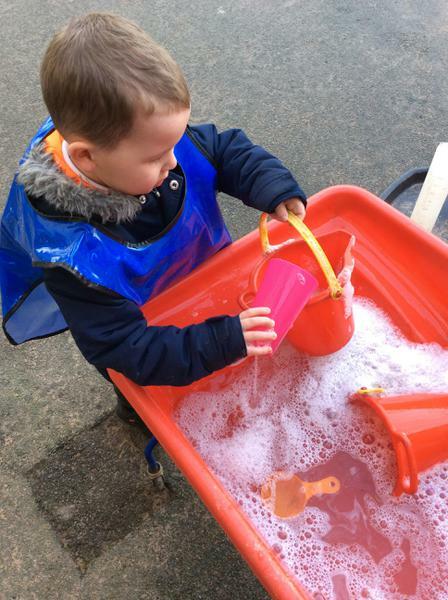 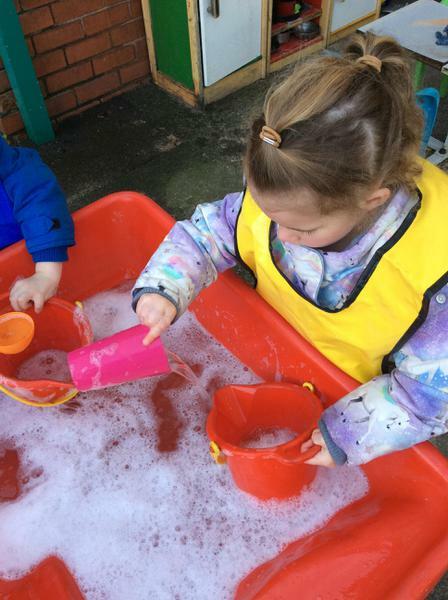 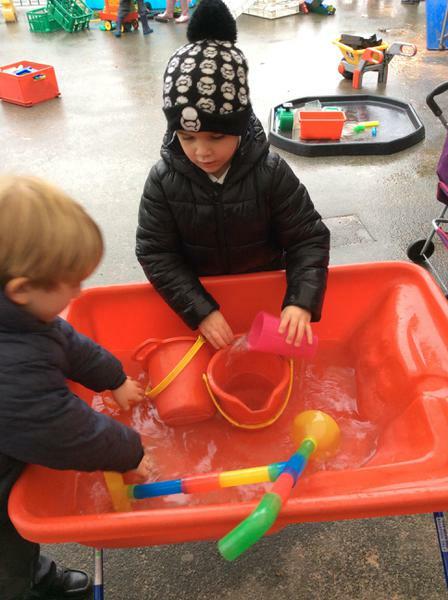 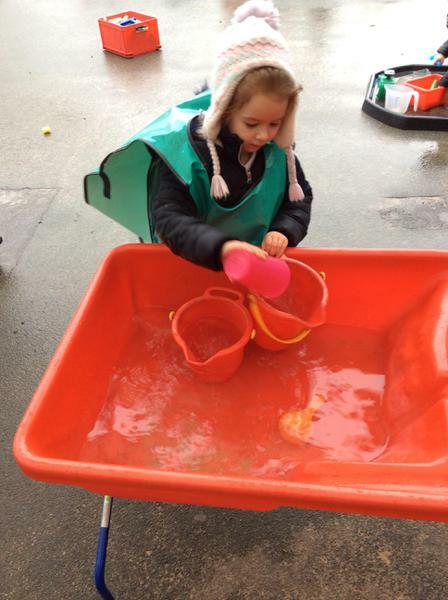 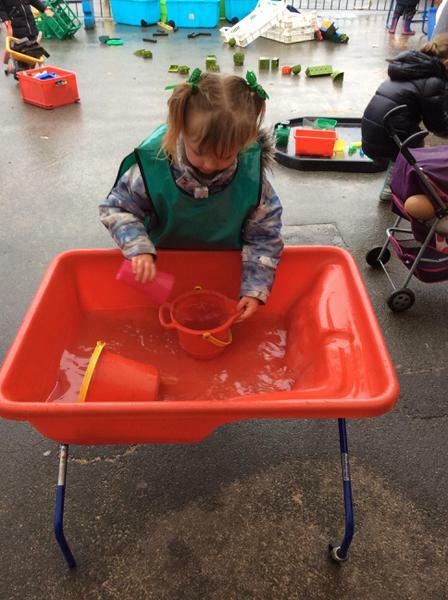 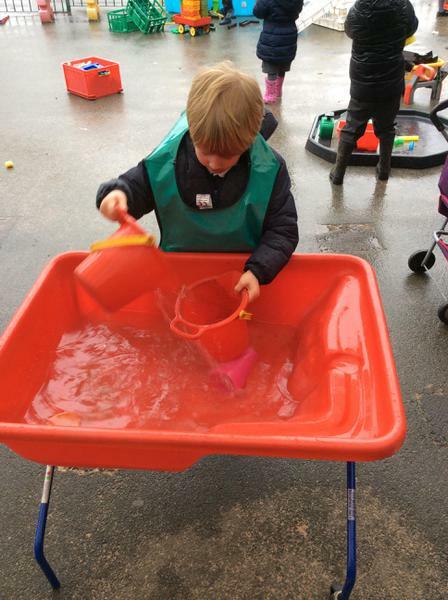 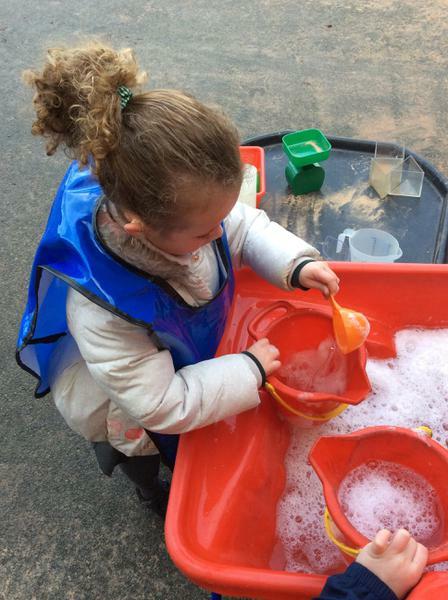 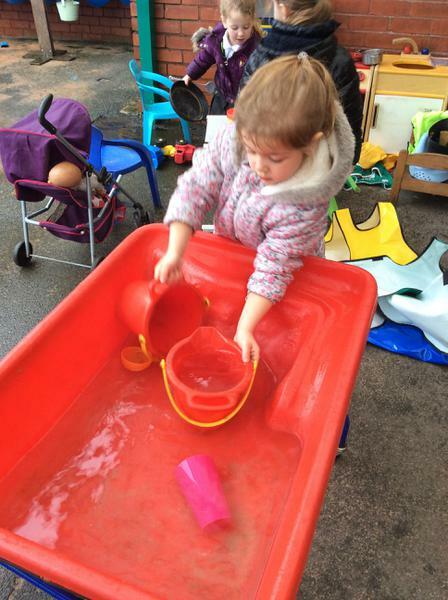 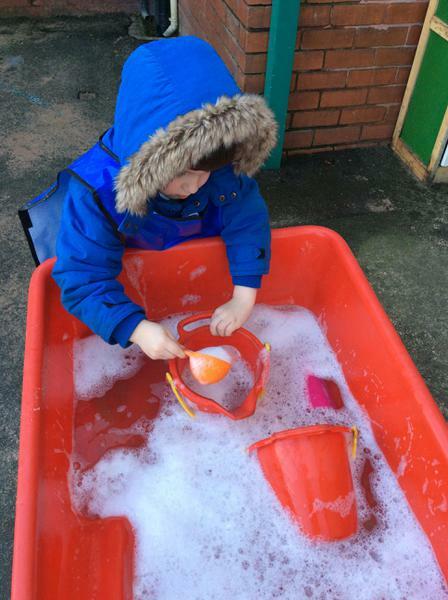 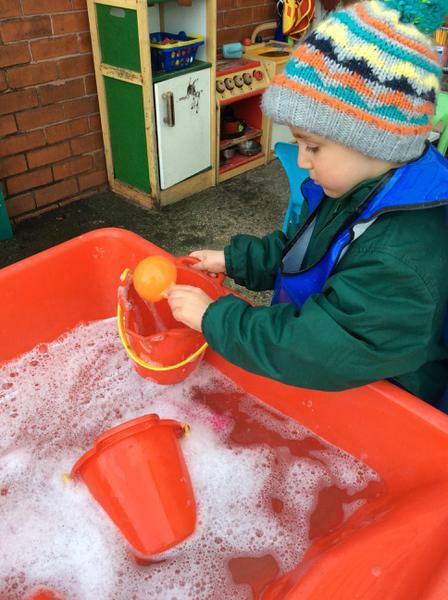 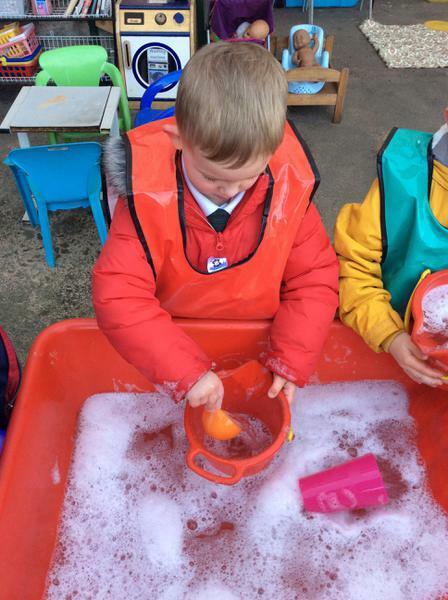 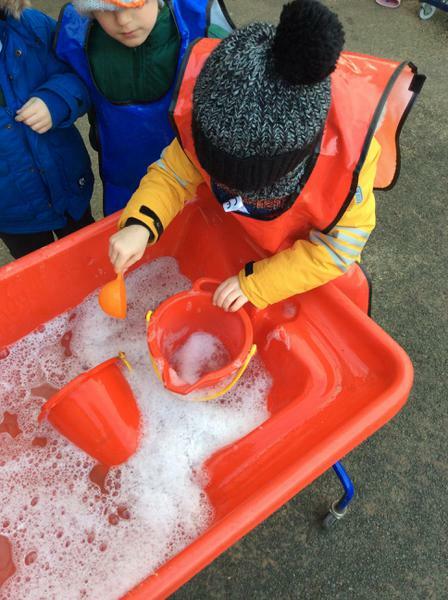 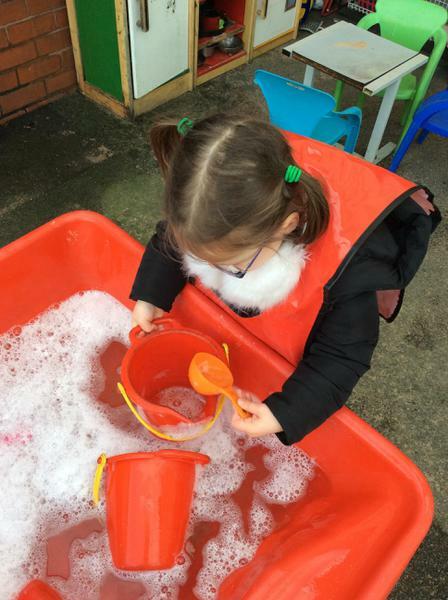 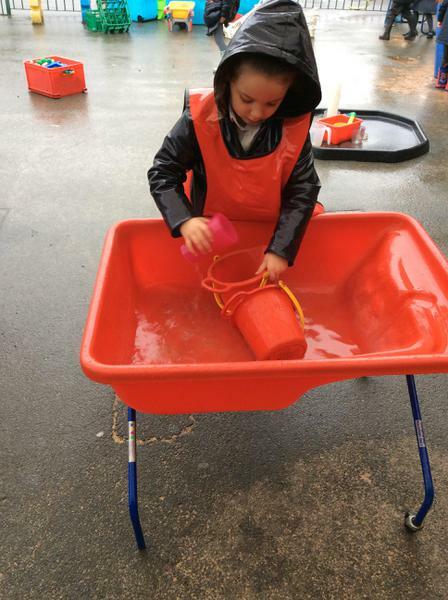 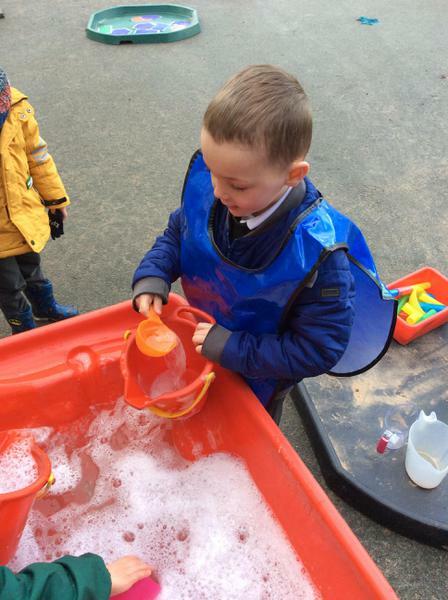 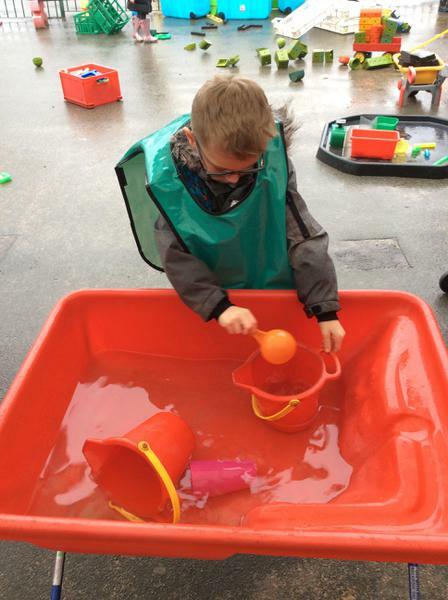 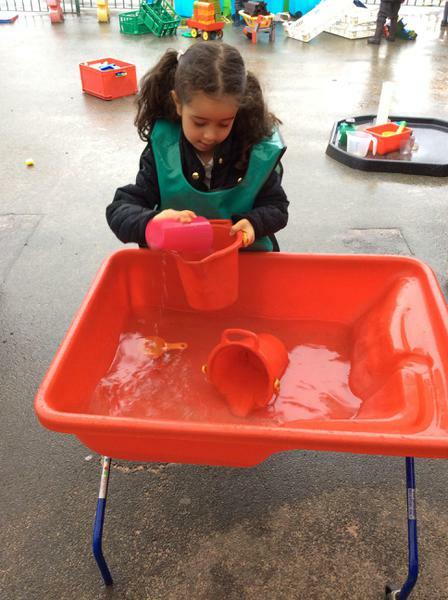 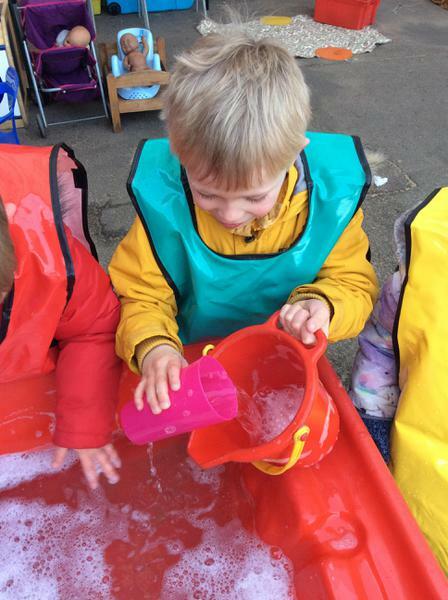 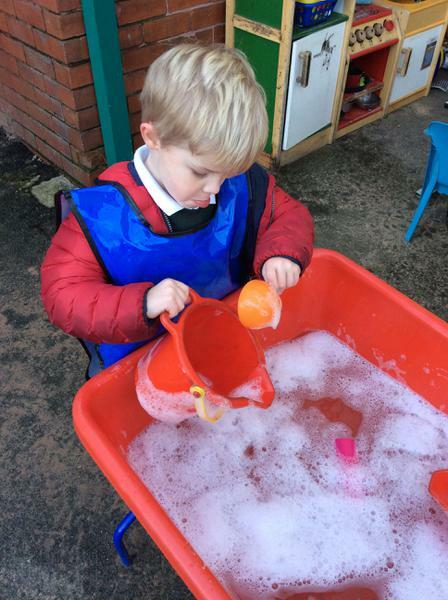 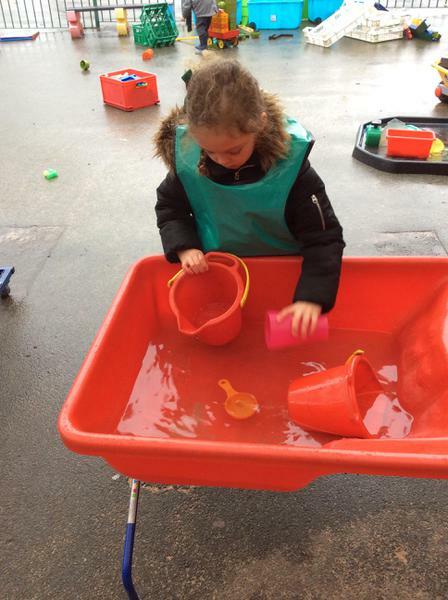 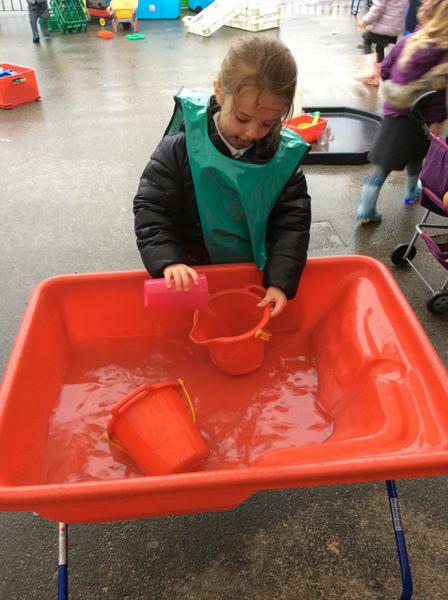 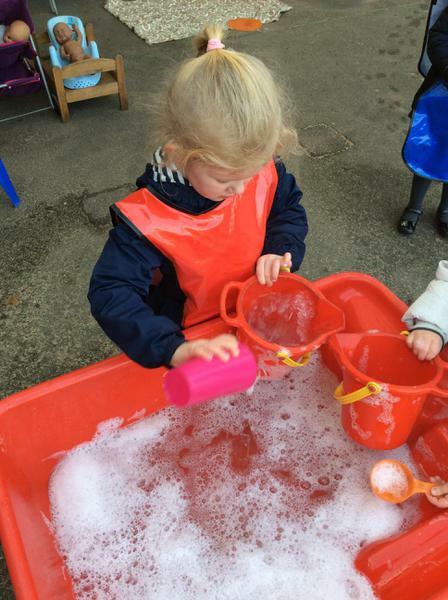 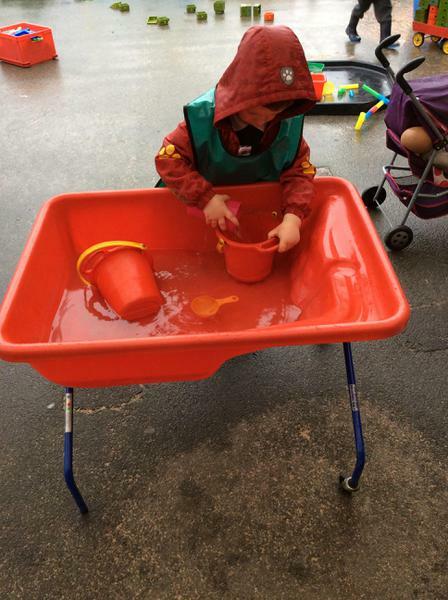 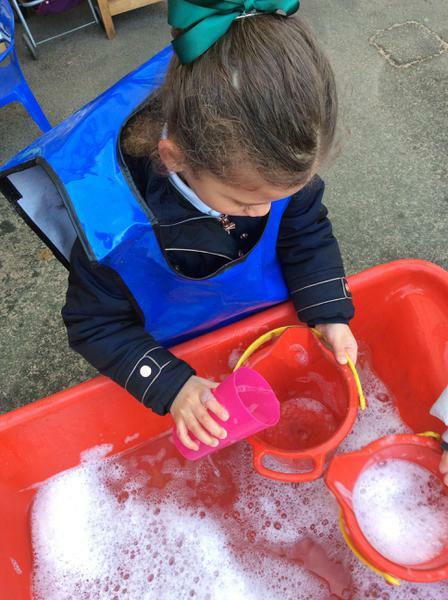 We experimented in our water tray to see how many ways we could fill our dinosaur buckets.